This can be a tough step for a business owner and that is particularly so the first time you have to make the decision. Most of us at some point, when employed by someone, have had to make an employing decision. In fact, when working for someone else we often make the decision in completely the opposite way to when working for ourselves. When we are employed by a corporation we have a tendency to talk about being under resourced, needing more team members to expand services or fill skills shortages. We pitch to our boss that we need additional team members for new process of special project and we use lack of available staff as the reason deadlines can’t be agreed to. When we are self-employed though, something quite different happens. We are far more focused on what the bottom line is. The nature of being in our own business naturally drives us to minimise expenses in order to maximise the profit left over each month. As a result, there is a leaning towards thinking it is more cost effective for us to push ourselves to do more rather than employ someone to perform the task. While it is a prudent approach to manage costs, especially when a business is still learning to walk, there comes a time where it is false economy. Firstly, it is unlikely that as the business owner we also happen to be experts at every task our business undertakes. The other thing to consider is that the more we take on, the more difficult it becomes to operate efficiently. So, how do we know when it is time to employ someone? When you’re falling asleep on your laptop keyboard at midnight every night of the week it is a pretty sound indication that you need some help. Assuming that you’re not just very disorganised or sleeping in until mid-afternoon every day, then you need to consider getting some help to manage your workload. What is helpful here is to start to accumulate some information around what tasks get performed each day and how long they take. If you start your day reviewing checking the bank balance, reviewing what needs to be paid and making sure money that was due in has arrived, then measure the time that activity takes. If you have to write a client proposal or pitch presentation, then measure and record each component of that. For example, researching the potential client might take three hours, identifying what solutions you can offer might take another one hour and then preparing the presentation could take two hours. If you find that you are preparing 5 client proposals in a week then there isn’t going to be enough time left over for you to be scouting for the next five prospects. Is it then time for a part time resource to focus on research to allow you to get on with prospect sourcing? It’s not very likely that you are going to be able to find a new team member who will come to work just for the pleasure of your company. That means you will of course have to pay them something for their time, expertise and knowledge. The important thing here as a business owner is to understand what you are going to get back for that investment. If putting on a researcher is going to allow you to double the number of pitches you can make and therefore double the business you are bringing in, then it could be a sound investment. Don’t be distracted from the reason you’re recruiting. Many people will have had the experience of stumbling across a candidate who isn’t right for the job vacancy on offer but might have great skills that had not been considered as an asset. You have just found yourself standing on dangerous ground. If you have identified a need and done the research, then stick to filing that need. The risk here is you end up taking on either more people than you planned for or worse, you take on someone to a job you hadn’t planned on needing and then don’t have the resource to ease your workload. The result of course being you are now working harder than you were before to try and build a new offer using a resource you didn’t need in the first place. 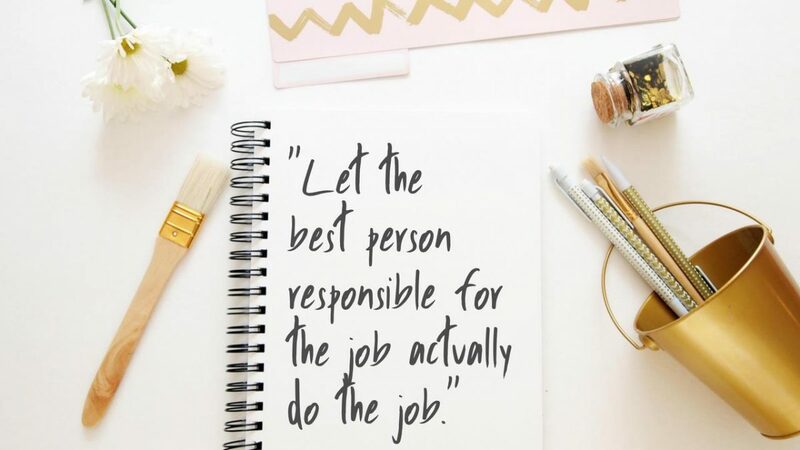 Let the best person responsible for the job actually do the job. One of the most common mistakes in small and medium businesses is that business owners employ people who are qualified and capable and then insist that they can do it better themselves. This is the pinnacle of the wasted money pyramid. Either employ the people you need to perform the role or continue to do it yourself but doing both is madness! Sometimes mistakes happen. For all the interview techniques and reference checks, sooner or later you will get someone that doesn’t fit the gap you needed to fill. In my follow-up article on how to terminate staff we will walk you through the process but for the purpose of this article; if you have the wrong person on board then you need to be a responsible business owner and move them along quickly. “Hold on tightly but let go lightly” is the key here.